I joked in part one about the incline of Ar.Pe.Pe.’s Grumello vineyards. In reality, the relative elevation of Grumello pales into insignificance alongside some of the vines in Sassella where the Pelizzatti Perego family have the majority of their vineyard holdings. 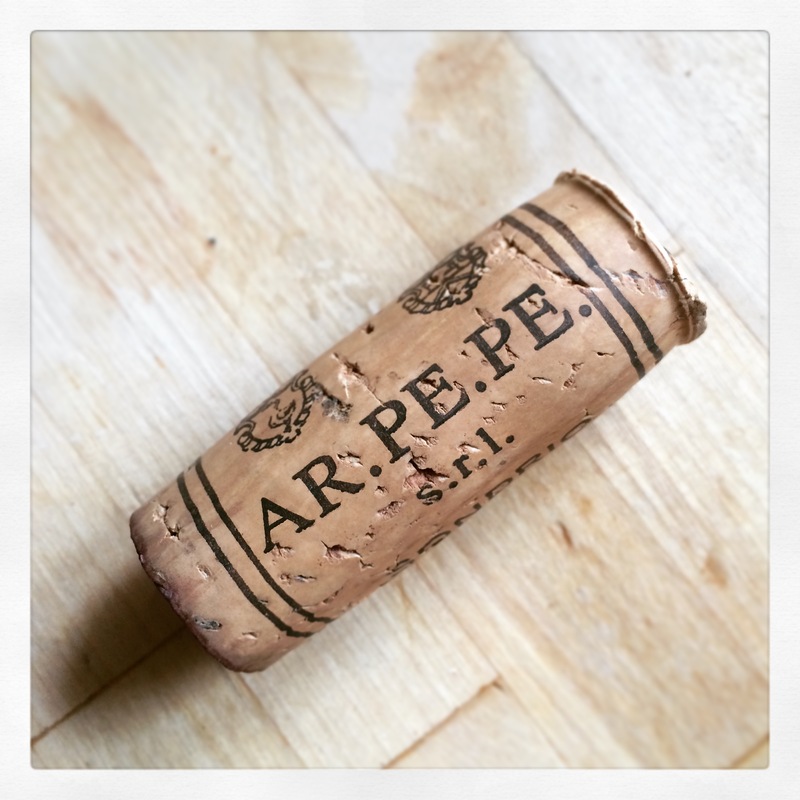 It’s an ascent I have earmarked for my next visit to Sondrio, but for now it was one that we made in vinous terms with some of the different Ar.Pe.Pe. bottlings. 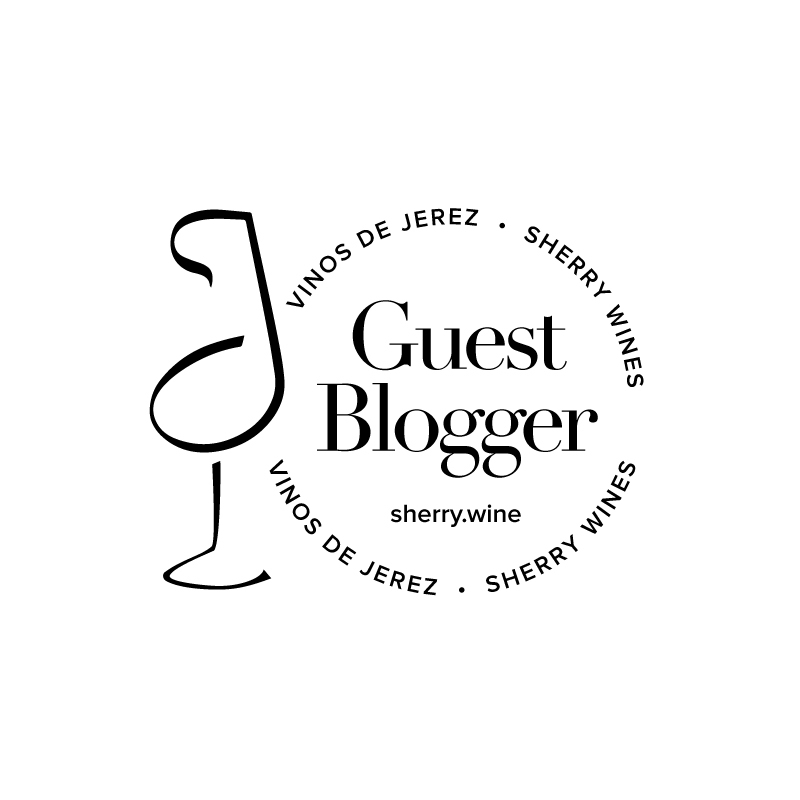 A few problematic phrases sprinkle my notes for these wines – energy, tension and minerality. These terms are sufficiently nebulous to render them almost meaningless in a tasting note. The first couple are the epitome of winespeak – totally irreconcilable with most demotic wine descriptors, whereas the very existence of the last has been disputed for years. Taste these wines for yourself though and tell me that minerality is a figment of the wine geek’s imagination. The other almost ever-present characteristics in the wines I tasted with Isabella were drinkability (a good thing and not suggestive of a lack of complexity!) and freshness. These characteristics are apparent in the old bottles too as I found out when I enjoyed a superb Sassella Rocce Rosse Riserva 1996 in The Remedy the week after I returned from Valtellina. Make no mistake about it, these are very exciting wines. 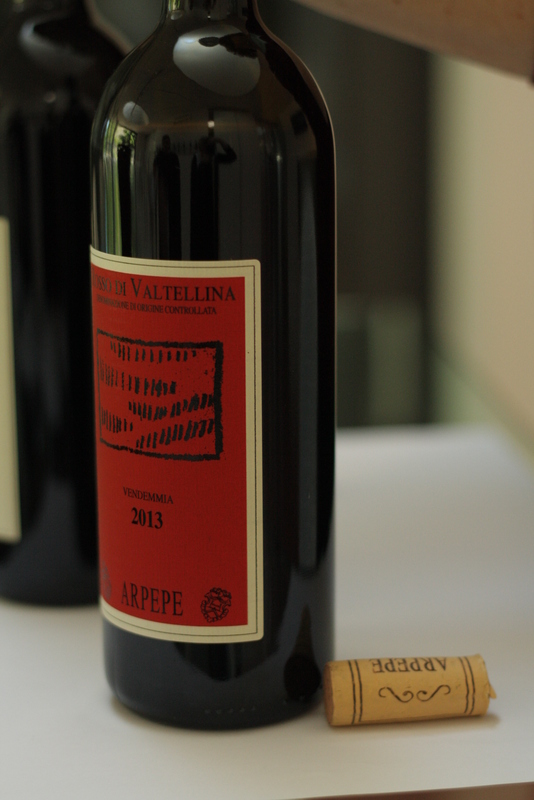 Rosso di Valtellina 2013 – A superb vintage. One year in large wood, five months in bottle. Fruit is sourced from the lower parts of the vineyards (Sassella and Grumello). Dark dusky pink colour. Beautiful perfume of sweet red fruit and flowers. Brilliant freshness. Mineral and herbal. Energetic. Great drinkability. Impeccable balance. 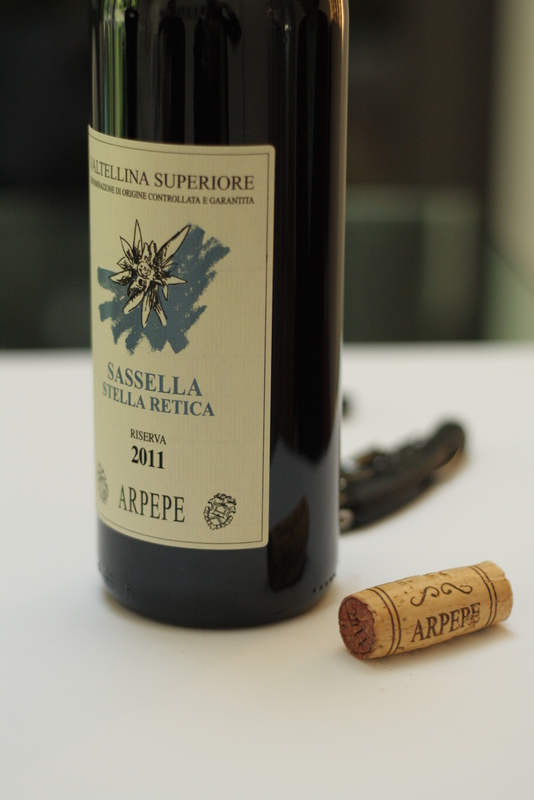 Sassella Stella Retica Riserva 2011 – A good vintage for Ar.Pe.Pe., slightly hotter than 2010. Only the Rosso and some Riserva were made. This wine spent two years in wood. Translucent ruby colour. 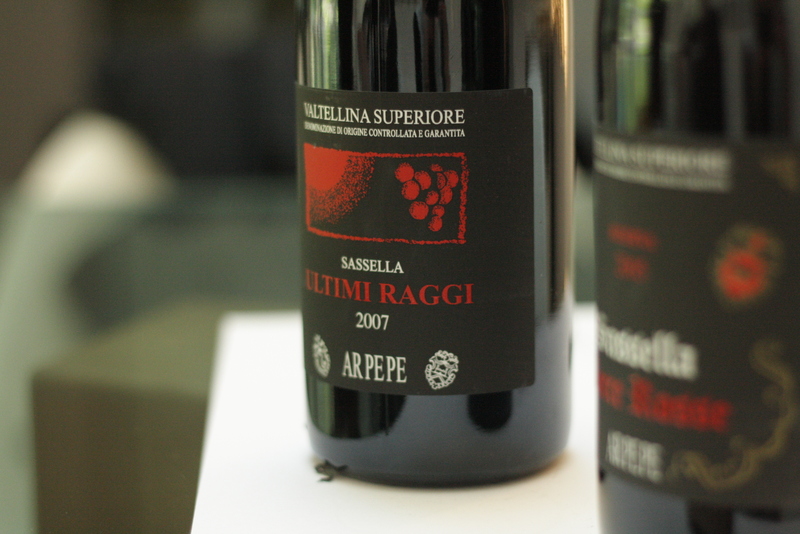 Slightly reserved at first – even somewhat vegetal – before revealing some tarry fruit and a classic Nebbiolo nose. Spicy and a little balsamic with dried fruit on the palate. Feels broad in the mouth but has a focus that really brings the wine together at the end. It’s approachable now but the tannins are prominent and slightly coarse. 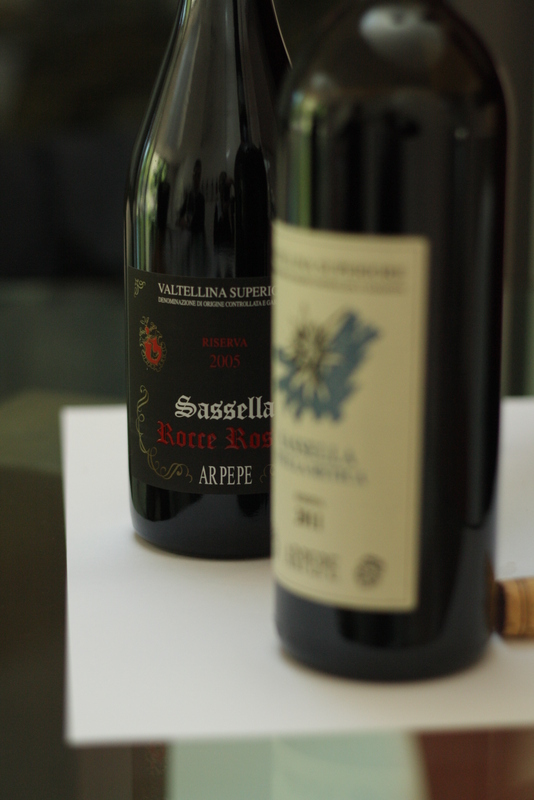 Sassella Rocce Rosse Riserva 2005 – A fantastic vintage. Single vineyard site at an elevation of 400-500m. 35 days maceration, four years in wood with a further four and a half years in bottle prior to release. Bright crimson colour. Fresh nose with sweet roses. Mid-weight with a sappy red berried core. Incredibly elegant with seamless tannin and a delicate spicy finish. Excellent length. Mineral. Tense, nervy and detailed. A superb wine. Sassella Ultimi Raggi 2007. From a plot in Sassella 600m above sea level. This wine is only made three or four times each decade with grapes left to hang for an additional month after the rest of the harvest has been completed. The 2007 vintage was picked on 14 November. Four years in large wood. Dried fruit nose packed full of sweet spices and flowers. Huge structure. There’s a slight alcohol burn, but it’s tough to figure out whether this is being falsely amplified as the style is so much fuller than the others in the tasting. Despite its larger scale this still really appeals to me. Ar.Pe.Pe. wines are imported into the UK by Tutto Wines and stocked in Noble Fine Liquor. Isabella will be visiting London next week and there are a number of events lined up in Verden, Sager + Wilde and Percy Founders. See the Tutto Wines website for further details. Great piece(s)! Any availability in Ireland? Thanks Richie – apologies for the delayed reply. Just back from Jerez. Sadly no availability in Ireland.